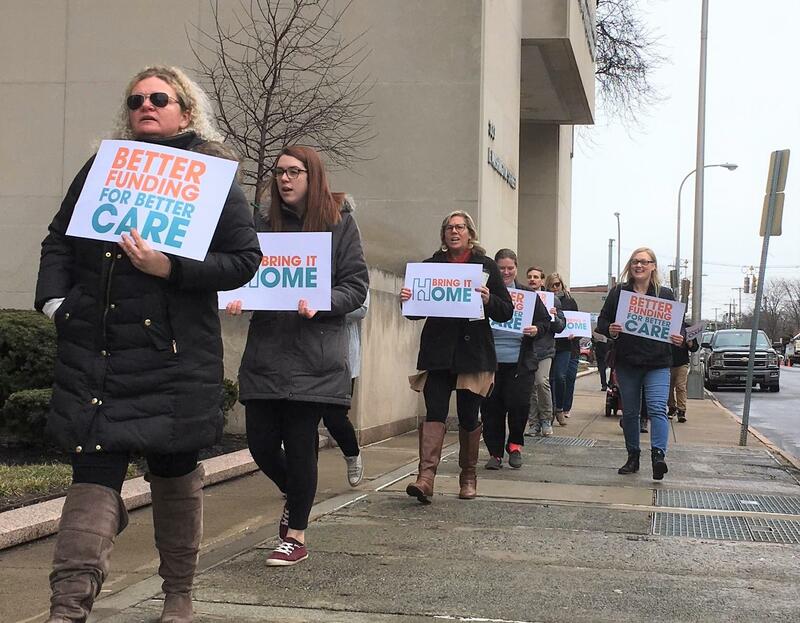 Those who work with mental health patients marched around the state office building as part of the ongoing "bring it home" campaign. About a dozen people marched around the state office building today calling on the governor and lawmakers to properly fund housing programs for those with mental illness. They’ve been holding these weekly marches for the past month as part of a statewide “bring it home” campaign. Advocates want Governor Cuomo to include more mental health housing funding in the state budget. 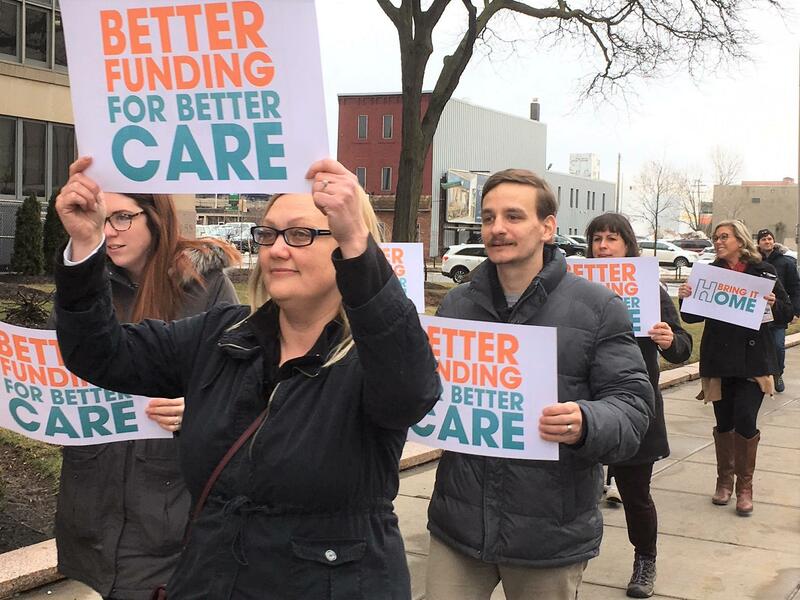 Director of residential programs at CNY Services Tracy Lord-Mortas says the governor’s proposed a $10 million increase in funding for mental health issues falls far short. Lord-Mortas says without proper housing, those with mental illness can’t get the support they need, and end up in and out of hospitals and even jail. Long-time activist Agnes McCray says it can become a vicious cycle. The advocates are hoping lawmakers allocate more funding for mental health housing during the final week of budget negotiations. The state budget deadline is April first.